Hello Denizens of the Tower. 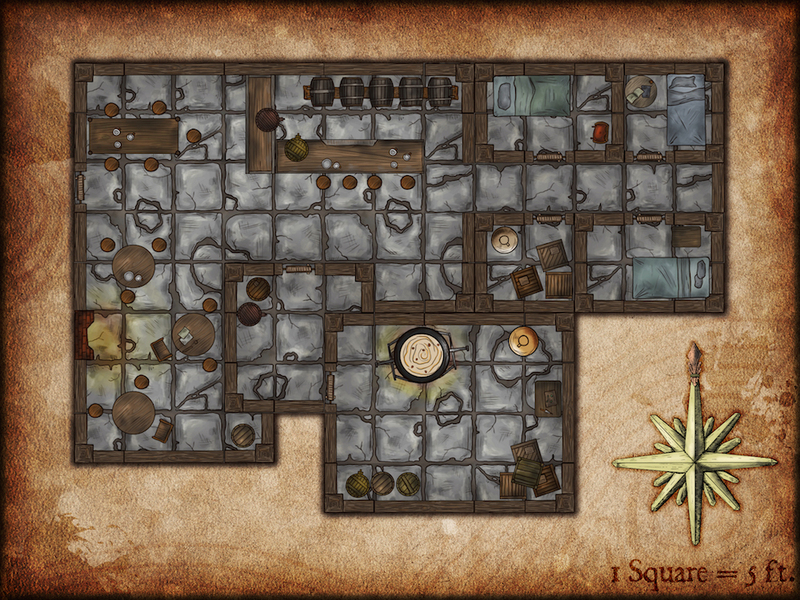 This is an illustration of an inn/tavern. It comes with what you’d expect, a main room, bar, storage rooms, rooms for rent and a larder/kitchen. I created this illustration as the first sample of December’s token pack, which I’ll release tomorrow. It has everything necessary to create taverns and inns. 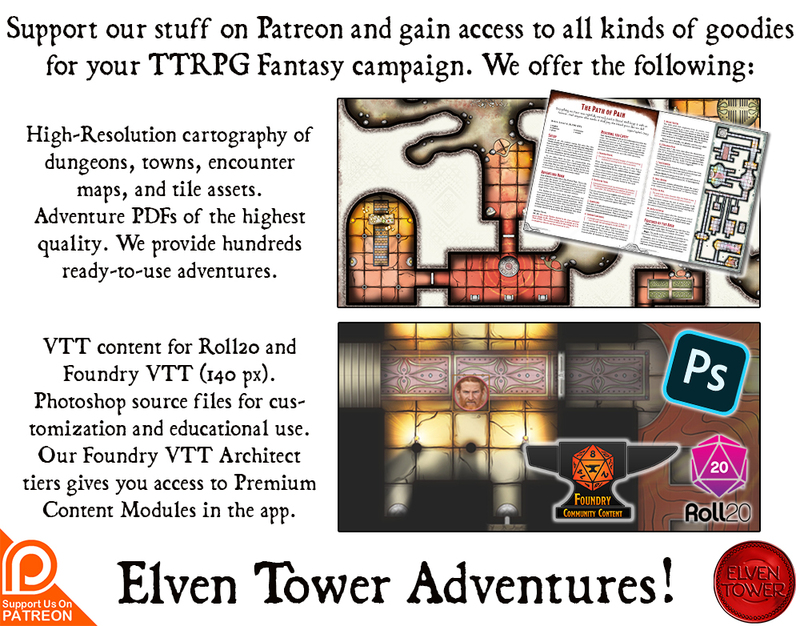 Like past month’s packs and related products, no background lore is included, but tomorrow’s Patreon release will include 10 prebuilt tavern/house locations for you to use in home games and Roll20 games.